China will mass-produce a Cuban pesticide effective against dengue-carrying mosquitos, Cuba's foreign ministry said Sunday. 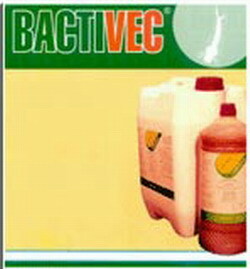 Cuban scientists developed and patented Bactivec, a biolarvicide which kills larvae of the Aedes aegypti mosquito, the dengue vector, the ministry statement said. According to the agreement, China will defray the cost of building the factory in China, and Cuban Labiofam scientists will provide the technology and know-how to build it. Cuba will purchase six million units annually of the insecticide, and China will donate another half million to Cuba, the statement said. Cuba suffered four dengue outbreaks during 1977-2002. In the most recent outbreak 14,524 cases were reported between June 2001 and March 2002, including 81 cases of dengue haemorrhagic fever, three of which were fatal. Dengue fever has is found in the tropics throughout the world, and the World Health Organization estimates there could be some 50 million cases each year, and 500,000 cases of more dangerous dengue haemorrhagic fever. The Aedes aegypti mosquito likewise causes 200,000 cases of yellow fever a year, resulting in 30,000 deaths, 95 percent of them in Africa. Cuba, the only country that produces Bactivec, struck a similar deal in 2000 with Amazonas state in Brazil, which produces and sells the biolarvicide to other countries.